The Syndication and Structured Finance team, comprising of 9 specialists based out of the DIFC, has a track record of delivering several landmark and award-winning transactions for high profile Sovereign, Sovereign-related, Corporate and Institutional clients from across the Middle East, Turkey, Asia and Africa. The team has closed syndications aggregating to c.US$45m across 75 transactions since 2015. We have experience in delivering solutions, both in conventional and Shariah Compliant format and for clients operating in diverse industry sectors including Financial Institutions, Education, Aviation, Logistics, Hospitality, Real Estate Development, Telecoms, Manufacturing, Commodities, Trading, etc. We have consistently achieved a leading position on regional book running league tables which is testament to our ability to successfully deliver on our transaction mandates. We combine product expertise, a deep understanding of market dynamics (knowledge of regional and international liquidity), established and long standing investor relationships (covering in excess of 150 investors from across the globe) and the Group’s strong balance sheet capacity to offer underwritten and best efforts syndication solutions to clients. 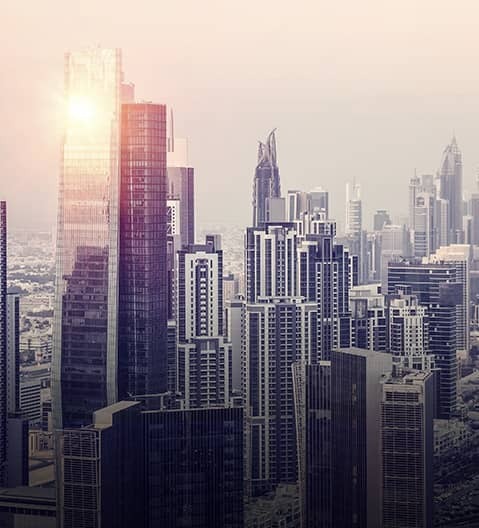 Being one of the largest banks in the Middle East allows us to leverage our institutional relationships in supporting our customers to tap into and diversify their liquidity base by accessing local, regional and international markets through our branches in London, Singapore, China, India, Indonesia, Saudi Arabia and Egypt.